The new Baleno signals a strong engineering effort from Maruti Suzuki and has already proven to be a segment-best in our tests. The new lightweight platform, unique styling and extensive feature list make the Baleno a car that simply cannot be ignored. 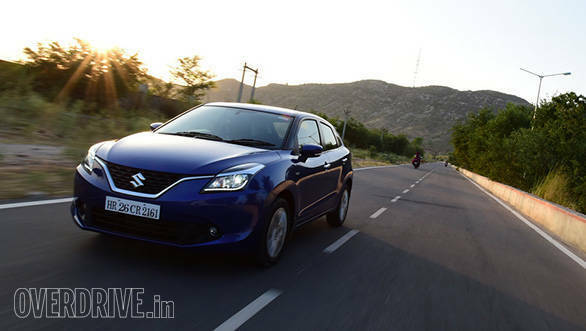 Maruti made the Baleno's case even stronger with very competitive pricing. With the Baleno, Maruti has become the manufacturer who offers the most features in a segment and also shows the company's commitment to safety. The Baleno offers ABS and airbags as standard no matter the trim or engine. That's a huge step and something other manufacturers need to follow suit with. The 2016 CNBC TV18 OVERDRIVE Awards were judged by a panel of experts on a range of criteria (read more about our judging methodology here) including how well they suit the role, value for the money they demand and also how involving they are to drive. No matter the category, we at OVERDRIVE value driver/rider involvement. A vehicle has to put a smile on its pilot's face, no matter the power or price and that's definitely one of the criteria in our judging process. See other nominations in this category here.